There are 50 reviews of Wonderwood. It's like a fresh cutted tree, but filtered and fitted to become elegant, it's intense, masculine and classy. It will be better with more longevity. This is okay but doesn't live up to the hype it received a few years back. Reminds me of a less refined Royal Oud. Not just an overly woody concoction, Wonderwood comes off as a fragrance that mixes a strong but balanced cedar + guiac + sandalwood as well as a whole host of other scent-enhancing stars, such as pepper, incense (VERY evident in this one), cashmere, and vetiver. Synthetic as Wonderwood is and feels, it is by no means poorly constructed. It is smooth, deep, and evokes the sensation of an incense shop rife with musks, oud, and exotic spices that make me feel confident and happy. Understated but still gets noticed when worn, Wonderwood is certainly worth a try for lovers of smooth woody and spicy scents. best wood base scent .all kind of wood exist in this fragrance cedar.sandalwood .guaiacwood.cashmeranwood.agarwood and cypress. woody dry smoky and alittle sweet. Peppery, woody and musky. Starts off with a pepper blast that settles down quickly but hangs around for hours. The wood notes are the most pleasant and pleasing to smell and give a refined feel to the scent. Then as you get deeper into the drydown, a sweaty muskiness starts to blend into the pepper and woods. The feeling I got was that the musk eventually turned into the note that lingered the longest and probably was the most noticeable by others. Very good projection and longevity. Lasts all work day and will get noticed with just a few sprays. Antaeus, TF Noir pour Femme, Wonderwood Comme Des Garcons - which to buy? 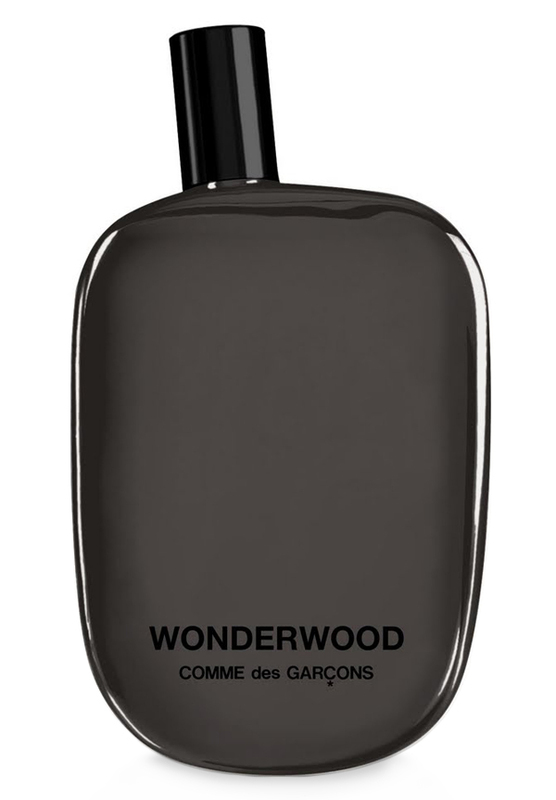 Comme des Garcons Wonderwood and I know I've smelled this before. Aroma Chemicals and the Indie Perfumer, an Interview with Chris Bartlett of Pell Wall Perfumes.